There’s a black sash over my eyes, and a group of teenage Colombians is pulling me through the streets of Medellín. I can’t see a thing. They’re speaking in Spanish, which I don’t understand very well, and I’m not sure where I am or where they’re taking me. This is not a kidnapping. Instead, I’m taking part in a sensory exercise organized by a youth group that’s working to move beyond the city’s violent past. The Advanced Consortium on Cooperation, Conflict, and Complexity (AC4) within Columbia University’s Earth Institute is working with youth collectives like this one, to learn more about how young people make sense of the urban conflict, find ways to respond to it, and help to build peace in their communities. When most people think of Colombia, drug trafficking and the 50-year civil war are typically the first things that come to mind. Movies and television glorify the drug cartels, paramilitaries, and gang members; even academic research tends to focus on people who create the violence. 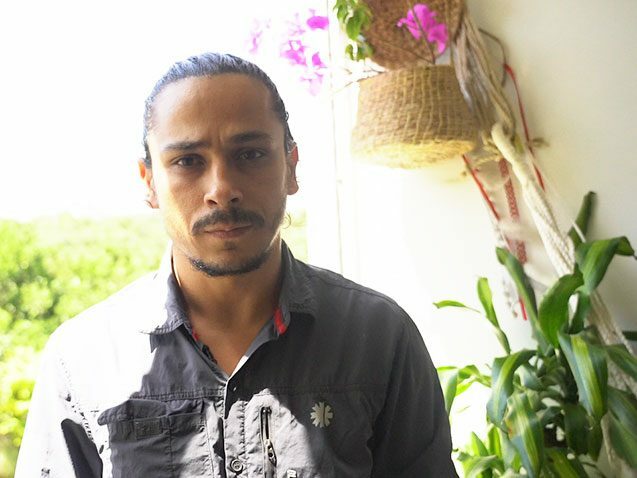 But AC4’s Joán Camilo Lopez thinks that if we really want to understand conflict and how to counter it, then we also need to look to the people who resist it. 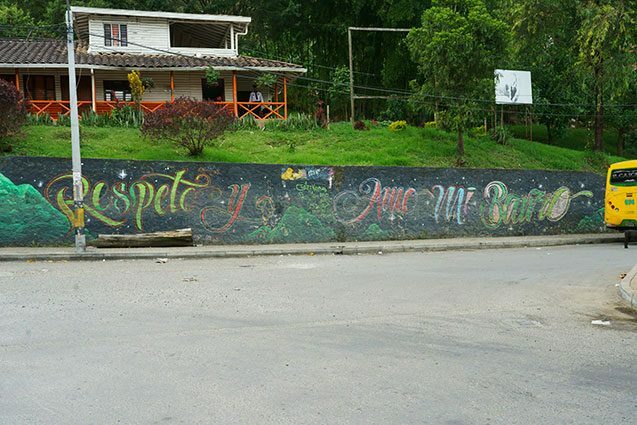 Through the Youth, Peace and Security program, where Lopez is project coordinator, AC4 is engaging with youth collectives in Medellín to study their role in resisting violence and to exchange techniques on community- and peace-building. In a different part of the city, the blindfold is off and I’m able to see the curious and sometimes defiant looks we’re getting from the people of Comuna 8. Lopez tells me that we wouldn’t be able to pass through the neighborhood if Niche, one of the local youth leaders, wasn’t with us. Niche runs a hip hop school for kids; some of the gang members send their kids to his school, which lends him legitimacy and freedom to move between rival gang territories. 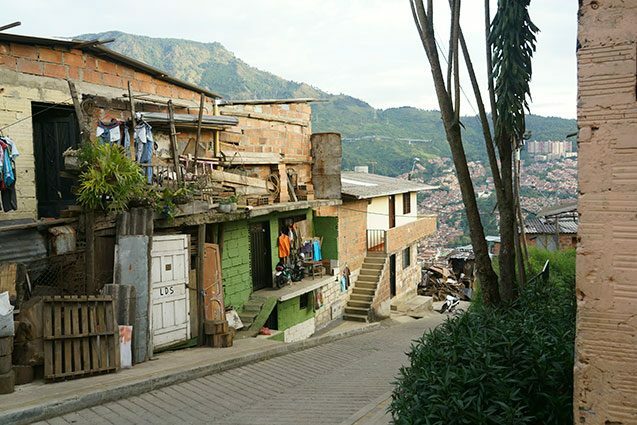 Comuna 8 is crowded with ramshackle dwellings that seem to have grown on top of one other. Crisscrossing power lines clutter the air, while trucks and motorcycles roar as they struggle by on the steep roads. There’s laundry hanging out to dry, music playing, and people greeting each other in the street. Everyone seems to know everyone else. 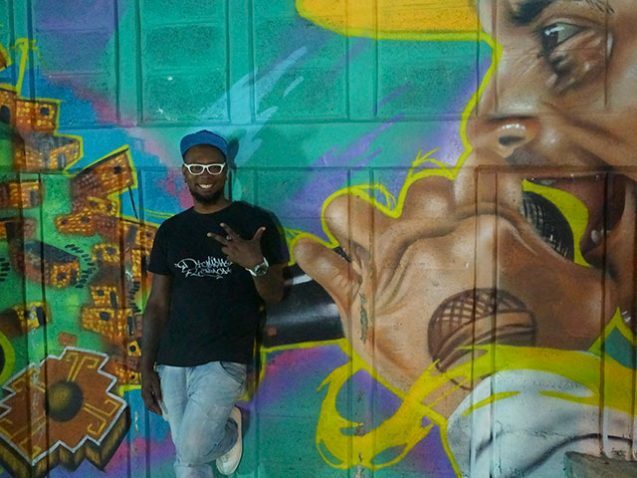 Graffiti murals say things like “My neighborhood is clean” and “Respect and dignity for the neighborhood.” The sense of community is strong, but life is not easy here. 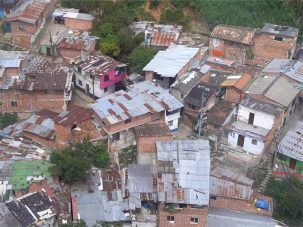 Comuna 8, like other sectors on the outskirts of Medellín, was originally settled by people displaced by civil war in the 1950s and 60s. 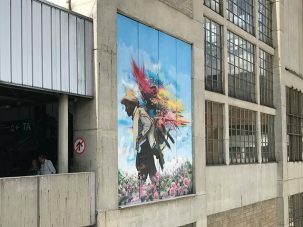 Most of their original cardboard homes have been replaced with brick and mortar, but the city’s poorest still have few opportunities when it comes to education and work. 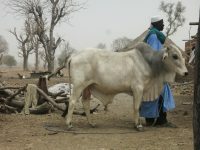 As a result, many join gangs and other armed groups to meet their basic needs. Youth collectives form an alternative to the gangs, and they come in all shapes and sizes — from the cartographic club that blindfolded me in order to experience the city through my ears, nose, and other senses, to groups that focus on graffiti, human rights, photography, clowning, and music. Since the 1980s, youth collectives such as these have been important in fighting (figuratively) the violence that surrounds them. “Sometimes, all the world is yelling at these kids,” says Niche. “To arrive in a space where they can talk, give their opinion, and think like people, that leads these young people to start to contribute to peace within themselves.” This, he adds, translates into more peace in the family, school, and the community in general. According to a report that the YPS program put together for the United Nations, youth collectives give young people a chance to express themselves, form meaningful relationships, and avoid getting bored. They also bring the community together and open a dialogue that allows people to resolve conflict in ways that don’t involve violence. The groups have tangible impacts on their neighborhoods. In 2017, for example, Niche’s group helped to clean up an abandoned area where people had been dumping trash. They hauled out the debris, commissioned graffiti murals to help beautify the place, and spoke to neighbors about taking care of the area. Now it’s a green space for community gatherings and a place for kids to play. At the Casa de Cultura Las Estancias, a large, almost school-like gathering space, young people can teach and learn poetry, crocheting, guitar, violin, and more. The space also runs workshops on territorial memory, where community members get together and share stories about the neighborhood. It’s a way of remembering, understanding the history of the comuna, and healing the mental scars left by violence. In other cases, the collectives have helped young people to leave their gangs and become community activists and leaders. Lopez says that some even go back to their gangs and convert them into forces for peacebuilding, who help out with community gardens, cleaning the streets, and mediating conflicts between neighbors. 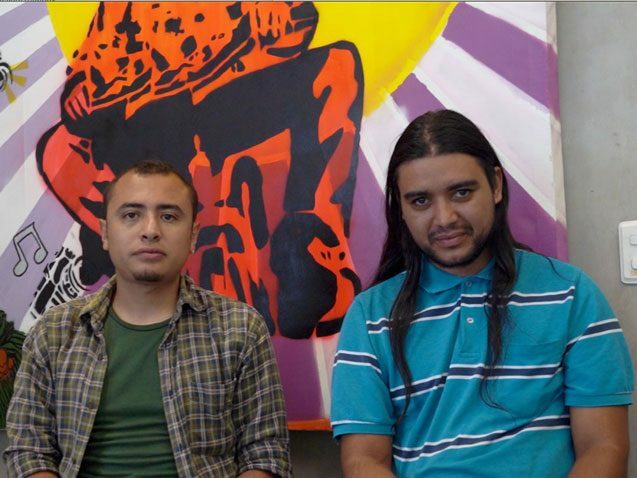 The Youth, Peace and Security program has been working in Medellín for almost five years, but the youth collectives have been active for decades. YPS is trying to learn what methods they’ve used to decrease violence in their neighborhoods, what impacts those measures have had, and what prevents more youth getting involved in a positive way. In addition, the YPS team shares its own conflict resolution tools, developed at AC4. Through a tool called Dynamical Systems Theory, YPS helps the groups to analyze the complex systems surrounding an issue. DST maps out the relationships that promote, reinforce, and dampen conflicts, and reveals underlying causes. 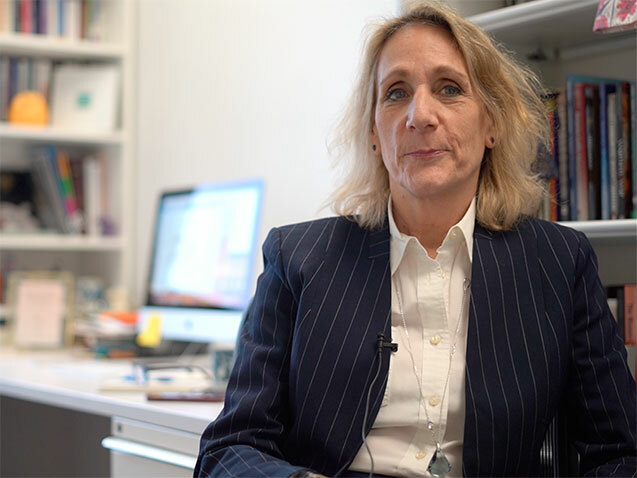 “This helps them think with the complexity of their environments, and to guide where they intervene, understanding that … as you push here and pull here, it makes a difference somewhere else in the system,” says Fisher-Yoshida. 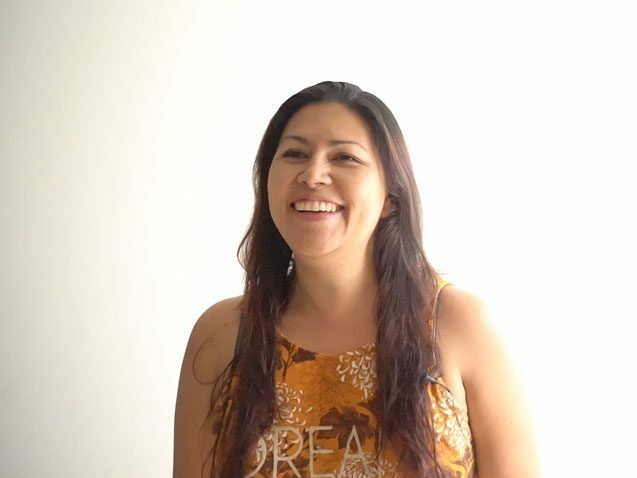 Kelly Valencia, who runs a collective called ArteC8, says the methodologies have helped to improve the group’s relationships, to listen to each other, and “to understand that there isn’t only our vision, but that there are other points of view.” Andrés Peña from Alucinogeno adds that the YPS methodologies have helped the various youth collectives to form a stronger network, so that they’re no longer working in isolation. In addition to sharing conflict resolution tools, the Youth, Peace and Security team has brought some of the youth leaders to conferences so they can present their experiences in conflict resolution. 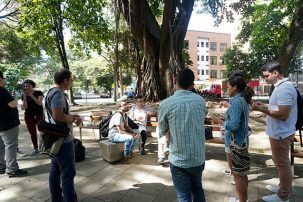 And in August, YPS launched two new initiatives called Social Lab Medellin and Social Lab Castilla. The first is a city-wide social laboratory that looks to activate strategies that inhibit the patterns that produce and reproduce violence among youth. 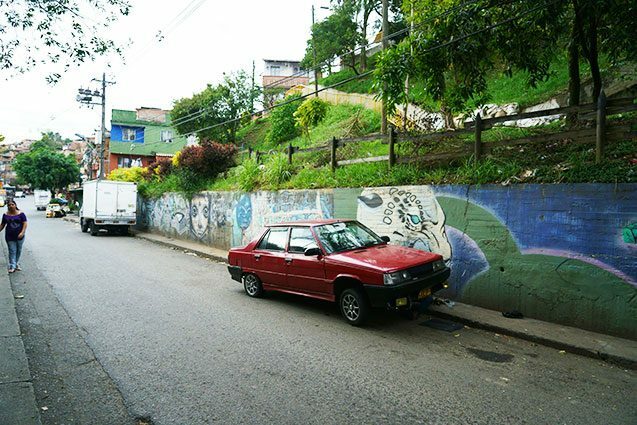 The latter is based in Comuna 5, a.k.a. Castilla, and focuses on creating the conditions that allow members of this community to feel secure. These Social Labs are composed of not just youth community leaders, but also environmental activists, representatives from city government, and managers from a large private transportation company. They are joining their unique perspectives and strengths to explore and try out new ways to help decrease violent conflicts in Medellin. When you’re blindfolded, you really do experience Medellín in a new way. You’re more likely to notice the smell of cheesy bread from the panadería, the potholes in the crosswalks, and — again and again — the unsettling buzz of a security helicopter circling overhead. The current city government’s idea of “security” typically includes cameras, police, weapons, and a helicopter that “watches over us all the time,” says Valencia. “It doesn’t permit a dialogue, only an authority.” Niche thinks these methods only increase the violence in the comunas. By contrast, the YPS team has found that during times when the government has invested in youth collectives, providing funds for festivals, gathering spaces, and other ways of strengthening of the social fabric of the community, “the levels of violence dropped dramatically,” says Lopez. Another of the project’s findings is that during the times when violence has peaked in Medellín, resistance and social activism also reached all-time highs. Comparing the reaction to an immune system fighting off a virus, Lopez says that “right at the moment the violence increases, there are social dynamics that get activated by the youth that respond to these dynamics of violence, and then act in a way that makes the violence decrease.” After each of the peaks, violence dropped to very low levels, and AC4 thinks it’s thanks to resistance from the community. In addition to launching the Social Labs, the Youth, Peace and Security project is working with the United Nations to pilot a Youth Leadership program. 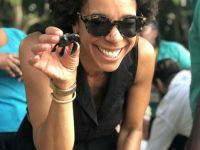 It includes a two-week intensive course at Columbia University—all expenses paid—where young people from around the world will learn leadership skills and project development, monitoring, and evaluation. Then they’ll return home to implement their projects, with continued coaching from YPS’ experts over the following six months. The YPS Leadership program launches on April 3 with an event that is open to the public. Through papers and talks, the team hopes to share more of its findings about how the comunas are implementing conflict resolution strategies at the grassroots level. In addition, they’re trying to form a bridge between the grassroots-level activism and the city government, trying to spread the narrative that “social change and peacebuilding has to be accomplished from a top-down, bottom-up approach in which the two meet in the middle,” says Lopez. 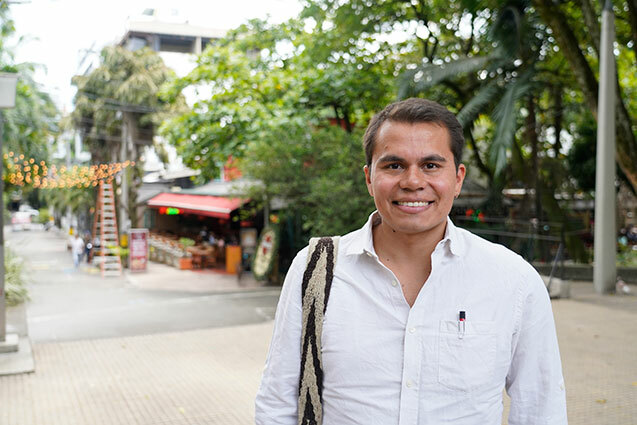 Medellín’s young people will, of course, continue to play an important role in building that brighter future. 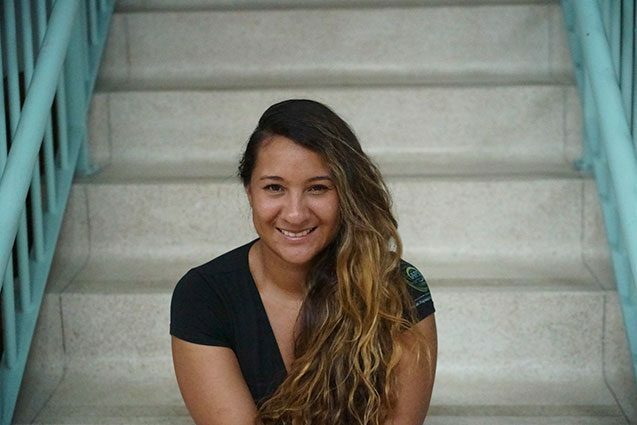 Special thanks to Earth Institute intern Clara Clemente Langevin for her help with transcription and translation.